Not a mountain, but great all the same. I had a great walk through the Bluestacks yesterday, and the summits were the main attraction, with the views they bring. 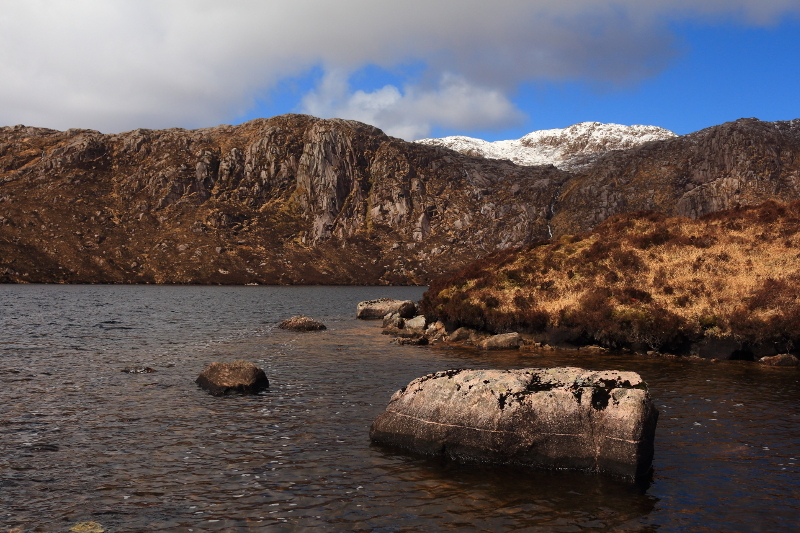 One of the best bits of the walk however, was looking across Lough Belshade at steep cliffs and snowy peaks. It would be worth a walk up for this spot alone, and with no roads up there, its a view that only us hill walkers usually get to see.